The origin of fear lies in the unknown. Be it the darkness, ghosts, weather calamities or whatever is unknown to the man is feared the most. If you are walking in darkness, you are afraid to go ahead, fearing what will come next. However, as the light appears, the fear tends to settle down. Fear, thus, is just a manifestation of your imagination ruled by cowardliness. When we get certain information on our fears, we get relaxed. However, it’s not going to be possible that we will always get the information on the unknown. Then what can we really do to manage our fears? 1. Accept your fears: There’s no need to fight your fears. The more you fight, the more they will haunt you. If you accept them the way they are, they will bring a shift in your consciousness necessary to move beyond the fear. 2. 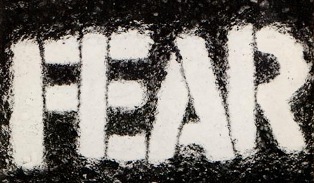 Fear is normal: There’s nothing to be embarrassed about in being afraid. If you are afraid, then you are. Society has connected fear with the sign of weakness and that is one of the reasons why we hate to accept that we are afraid. When you accept fear as a normal emotion, it doesn’t bother you anymore. 3. Explore the unknown: Every year, make a list of things that you fear the most. Then, do something everyday that gets you closer to the unknown factor residing in your fear. Gradually, you will overcome all your fears one by one. 4. Know the roots: Go into the source of your fear. Some fears are based on past conditioning. Having a good understanding of the roots from where it all started will help in moving toward state of fearlessness. Moving on, death seems to be the second issue bothering everyone if the world ends. There’s nothing one can do to avoid death. You can avoid the possibility of birth by using pills, protection and so on, but man hasn’t been able to interfere in the business of death. What you can do is accept it with open arms. If the world ends, it ends. It will release all of us from a life where we yearn for things that are useless to show off to the people who don’t matter. When the world ends, it will end for everyone. Why we are giving it so much attention? !